We are having our garage sale this weekend and guess what. Yes of course it’s raining cats and dogs out there! Before we had decided to do our garage sale we were keeping our eye on the weather waiting for the right time to come along. Thinking this was the right weekend because the outlook for rain was around 12%. Not! It’s been raining all night and doesn’t look like it will stop any time soon. I worked in the trades for 30 years and someone once told me that if there are air bubbles forming in the puddles expect all day rain. I just looked out the window and guess what I saw. Yep you have guessed it! Bubbles in the puddles, all day rain. 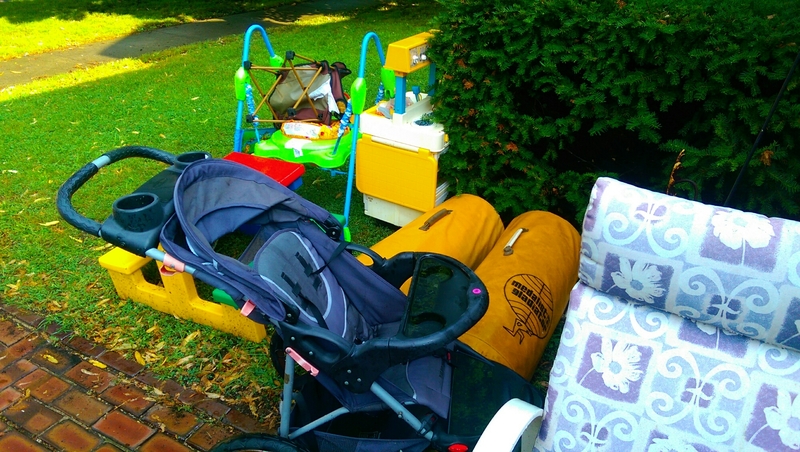 What really gripes me the most is our last garage sale a few years ago was the exact same scenario. My wife works for a month on and off gathering and pricing everything and making sure it will be a relatively painless procedure. I just can’t imagine how hard it is for her after all that work. I am thinking it will be awhile before she has the heart to do another one. I won’t mind though these are a big pain in the wahtoosy, if you know what I mean. We started yesterday so all our stuff is at the front of the house on tables so passersby can see out wares. It is quite a bit of stuff so we decided just to cover it with taps last night instead of matching all the way to the garage and hope for the best. After ten hours of manning the sale and setting everything up neither of us wanted do anything but eat and relax. So hopefully it will not rain the rest of the weekend and we can get rid of this stuff. I’d we do not it all goes to Good Will. I am not very optimistic because the forecast is between 12 and 20 percent. 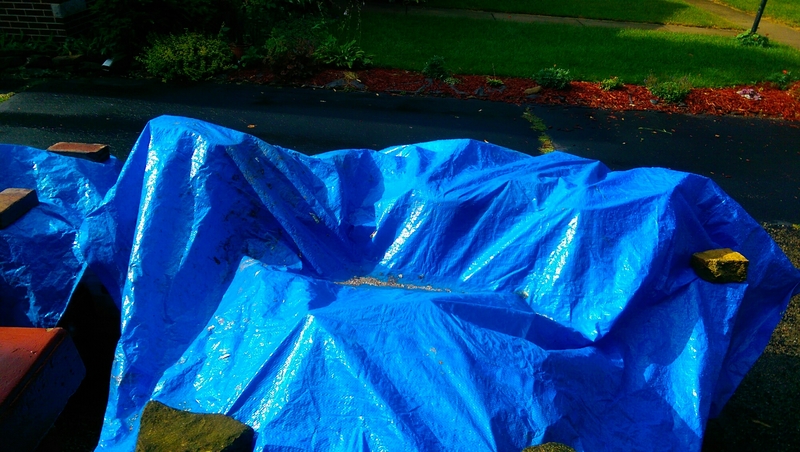 Wish us luck at sailing all our unused stuff into someone else’s basement and to not get sailed into the storm drain. Alright if all our junk sailed down the drain I wouldn’t mind all that much. Just as long as it’s out of house. So wish us luck and have a great weekend!